A unique meal kit and meal planning service has been launched in Dubai - and EWers can enjoy 10% OFF! Now you can plan weekly dinners in advance, whip up delectable recipes, source fresh ingredients and get them delivered directly to your door step. The best part? They're giving EWfood readers a discount of 10% off with a the code EW10! Let’s Cook brings 20 years of expert culinary experience to your kitchen. They aim to make your cooking at home experience easy and memorable with highest culinary ingredients and top-notch hygiene standards. 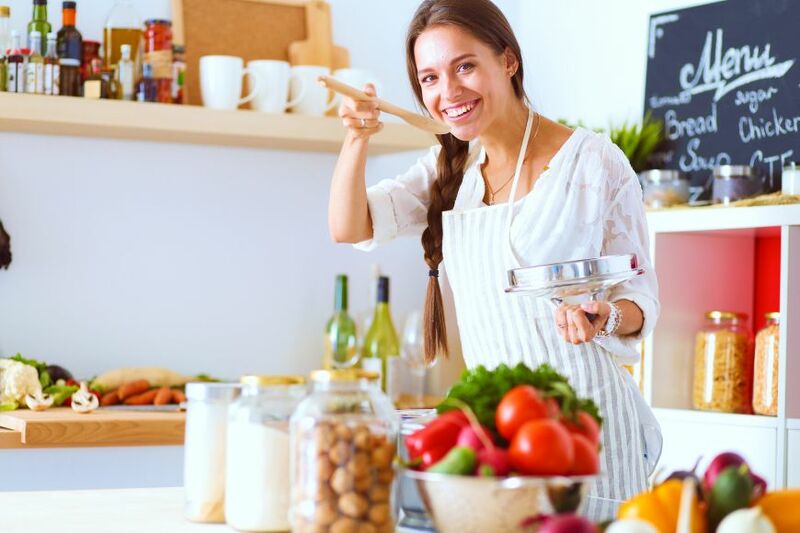 With their range of deliciously created in-house sauces, cooking at home will become an easy and enjoyable activity, rather than just being a boring chore. Launched by Abhijit Rajwade, Let's Cook is a result of an inspiring conversation about good wholesome food with a close friend, who had experienced a similar service in the United States. After a thorough and detailed market study and business model analysis; he was convinced that the UAE’s market is ready to accept this concept. And thus he put the wheels in motion of his brainchild and brought his love of healthy, hearty and home cooked meals to the busy, hardworking people of Dubai. How does Let's Cook work? Everything can be easily delivered at the touch of a click by logging in to Let's Cook. After logging in you can proceed to picking a meal plan from a curation of carefully selected recipes. You can also choose to get the recipes delivered at your doorstep at a given day and time for a period of 4 weeks or 16 weeks. Here’s to no more last minute grocery runs, now you can enjoy well deserved alone time and with your family. Let’s Cook offers a wide variety of sandwiches, salads and smoothies for your lunch cravings. They provide generous servings of your choice of any aforementioned selection and are freshly made in their Dubai Municipality approved kitchen and delivered to you every single day of the working week. Pre-book your lunch menu for the week without any hassle at the start of the week and never worry about what to order for lunch ever again. ... or enjoy a BBQ! Planning a BBQ can be a daunting task, from the meat selection to marination to picking out the right condiments. Let’s Cook offers a variety of pre-marinated cuts of meat of your choice, these are perfectly ready for a BBQ at your home. All you need to do is pick your meat, your choice of marinade and the day and time of your delivery. When Let's Cook launched, founder and Managing Director Abhijit incorporated the help of three lovers of gastronomy, who were his friends and graduates from one of India’s top hospitality management institutes. Yeyati, Director of Marketing and Client Services: who furthered his education in hospitality in France at the l’Institut Vatel and with the Wine and Spirit Education Trust in the U.K. and a former Fine Wine Specialist for MMI Dubai. Pinaki, Director of Operations and Quality: the former Director of Health and Safety at Marriott, Starwood and Hilton, who started his career in Dubai as a passionate and dynamic young chef with the world-renowned The One&Only Royal Mirage. SEE ALSO: We tried and tested Let's Cook for you - and we highly recommend! Gaurav, Operations Manager: A graduate from one of India’s top Hospitality Academies and 8 years of experience in the foodservice industry with Baskin Robbins and the Landmark Group in Dubai. Abhijit, always keeping the bar for all his endeavors high, chose to recruit some of the best and top-notch talent in the hospitality business, who help him run the operations. Furthermore he also formed a team with Suruya Challa; Head Chef and Butcher of Let’s Cook. Suruya comes with an abundance of experience within the five-star food service operations and is backed with youthful enthusiasm. EWfood readers can enjoy an exclusive 10% OFF on all purchases. Use the discount code EW10 to avail it.